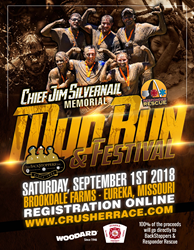 Woodard Cleaning & Restoration is thrilled to announce the Chief Jim Silvernail Memorial Mud Run. The race features The Crusher Race with 100% of the proceeds benefitting The BackStoppers Inc. and Responder Rescue. Chief Jim Silvernail, former Fire Chief in the St. Louis area and avid supporter of The BackStoppers, recently passed away after becoming ill in March of 2018. As an honorary member of the Woodard family, Woodard is hosting a memorial mud run in Chief Silvernail’s honor. 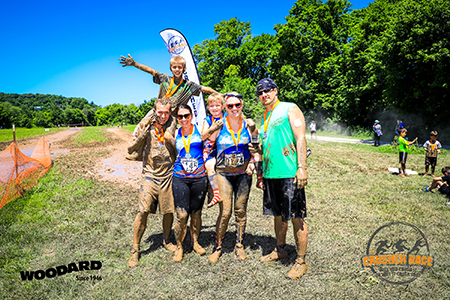 The mud run is an event that the whole family can participate in! The race offers a variety of different levels of mud, obstacles and physical challenges. 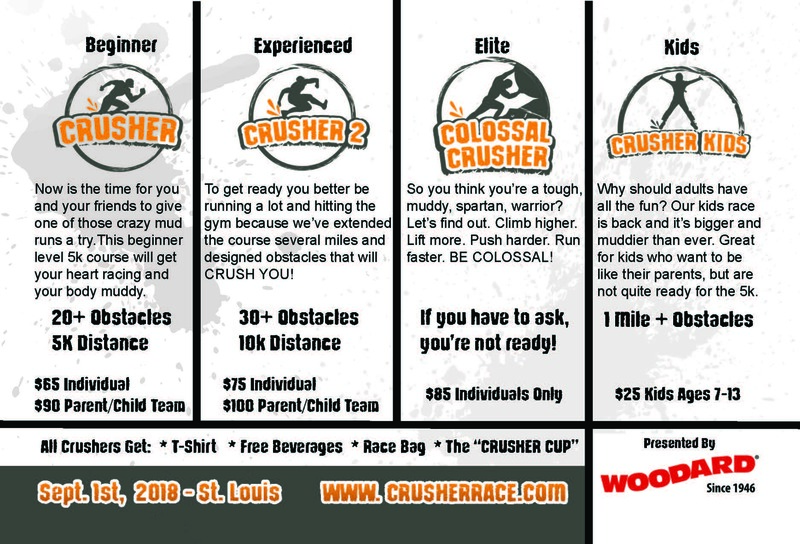 The beginner level, “Mud – The Crusher”, is a 5k with 20+ obstacles perfect for any and all fitness levels. The intermediate level, “Sweat - The Crusher 2”, is a 10k with 30+ obstacles and will challenge any fitness enthusiast. The expert level, “Tears – The Colossal Crusher”, is only for the professionals. If you have to ask about The Colossal Crusher, then you are not ready for it. There are Parent/Child Teams available for both the beginner and intermediate levels! The event also includes a Crusher Kids 1 mile run! This race allows for children 7 – 13 to make the run on their own, without a parent. Plus, if you don’t want to run the race, we allow spectators to come join us for free! There will be seating available to watch the runners, food, music, and a mud pit for those who want to just play in the mud! In addition to participant in the mud run, volunteer and sponsorship opportunities are available for individuals, families, or businesses that are wanting to become involved in the event. For all event details, visit crusherrace.com. The BackStoppers organization provides needed financial assistance and support to the spouses and dependent children of all police officers, firefighters and volunteer firefighters, and publicly-funded paramedics and EMTs in our coverage area who have lost their lives or suffered life-altering injuries while performing their duty. Visit backstoppers.org for more information. The Responder Rescue Organization provides assistance; emotional, tangible or monetary, to any area first responders, who have been injured, become ill or suffered a traumatic situation after all other resources have been exhausted. Visit responderrescue.org for more information. The mud will fade, but the memories will last forever!This event is fun for the whole family! Doesn't matter the age or fitness level. Race Levels AvailableFrom couch lovers to the elite athletes, there's a mud run for everyone! Have a little one who wants to have some fun, too? Sign up for the Parent/Child ticket option and run it together!